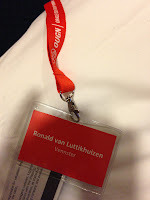 Lonneke talked about our experiences and the middleware content at the Oracle User Group Norway (OUGN) Vårseminar 2013 conference in her last blog. 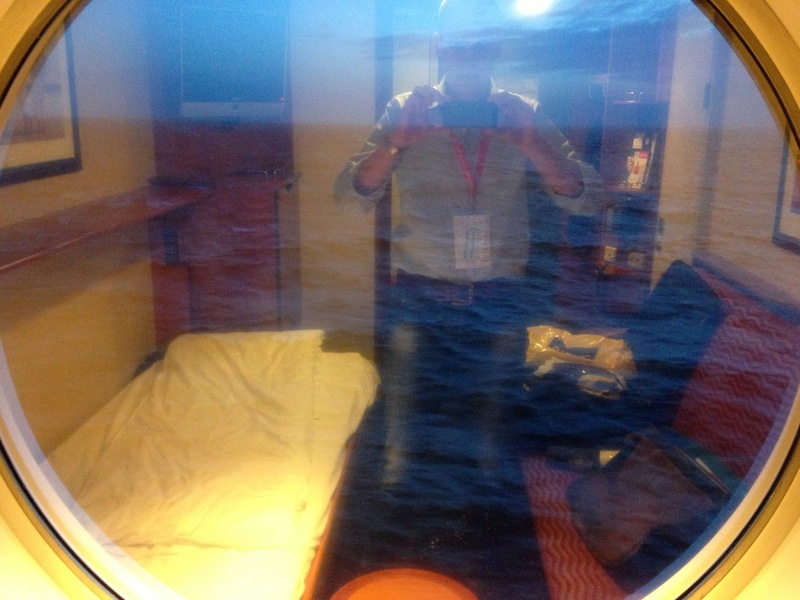 This blog adds some photos to give you an impression of this unique "Conference as/on a Cruise". Just before we left for Oslo, we found out that Justin Bieber was performing there in the same week that Vårseminar was held. Since the first day of the conference was ashore, we needed a hotel. Problem was that all the Beliebers and their entourage of concerned parents already booked all hotel rooms in the city. Fortunately there were some free rooms in a hotel in a smaller village nearby Oslo. 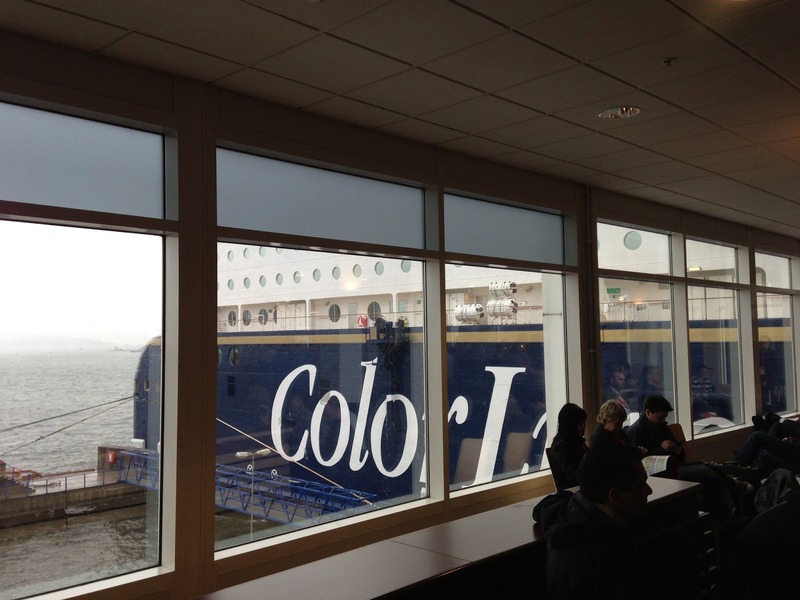 After the first day all attendees boarded the Color Line to continue the conference on the ferry from Oslo to Kiel in Germany. You can view the route we travelled on Markus Eisele's blog. After boarding and several keynote speeches, the separate tracks started on the top deck including the middleware track. So far Norwegian was pretty readable. Words were recognizable since they looked like their Dutch or English counterparts. The Norwegian keynotes and Norwegian stand-up taught us that reading is one thing, but speaking and listening is completely different and unable to follow for Dutch people. The laughter was pretty infectuous though. 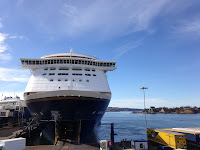 Until that time the big ferry gently rocked and only added to the relaxed atmosphere. However, by the end of the day the Baltic Sea became so rocky that the presenters had to sit down to avoid falling down during their speeches. Luckily I had no problems sleeping that night and didn't need a paper bag. 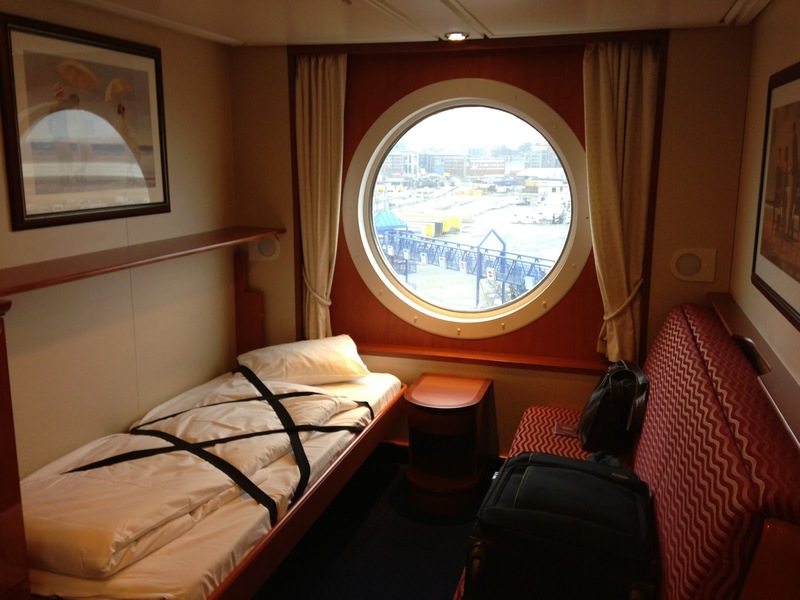 On the second day of the cruise we arrived in Kiel. Between sessions there was time to leave the ferry and indulge in a German lunch. 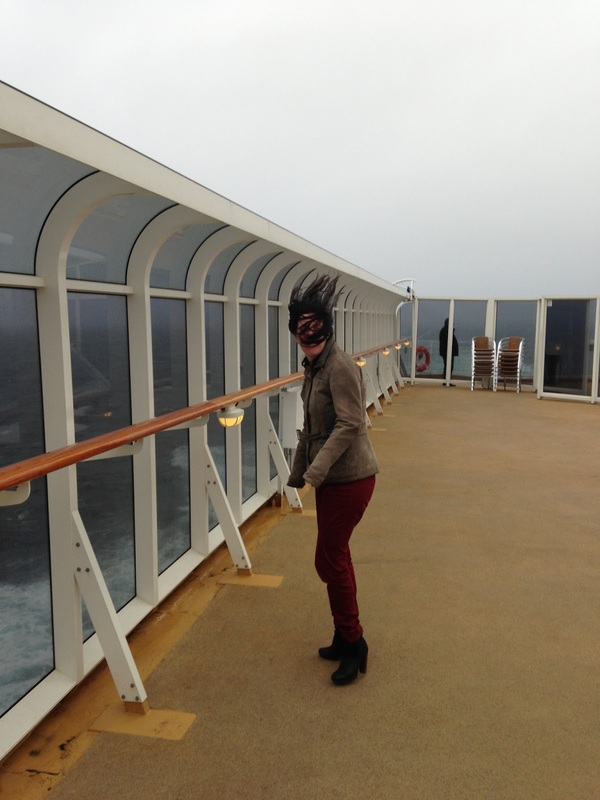 At least, if you weren't feeling to seasick. After boarding we set sail for Oslo again and continued with the conference sessions. Between sessions you could enjoy the amenities of the ferry. 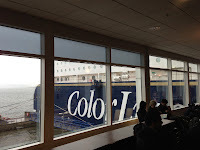 Saterday we arrived back in Oslo and departed the Color Line to fly back home after a fun and successful conference. It took some days before the sea legs completely vanished. A big thanks to the conference and user group board who put together a well-organized and unique conference! Thanks for having us. Vennster participates in conferences on a regular basis. It is a great way to meet people and learn things. After hearing stories about a conference on a boat, Ronald van Luttikhuizen and me decided to try the Oracle User Group Norway Conference for ourselves. The first day of the conference is in Oslo, in a hotel. We did not have time to attend sessions that day. 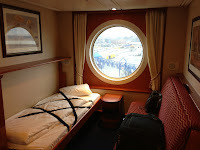 The first day on the boat I spent in the “Middleware Room”. Ronald gave his presentation about Service Design. It is based on a chapter of SOA Made Simple and he talked about service identification, service design guidelines and service implementation. The room was full and the audience was engaged; there were a number of questions during the presentation and afterwards as well. The next presentation was by Manas Deb and he talked about Adaptive Case management. He explained the concepts, the difference between BPM and Case Management and what makes case management adaptive. In short: in adaptive case management you don’t know in advance in what order tasks are executed (non-deterministic) and ad hoc tasks can be added by the case worker or case manager. Then he explained how the latest patch set of Oracle supports this concept by introducing a new component type: “Case”. Cato Aune and Jon Peter Hjulstad presented about their experiences with Oracle WebLogic 12c. They talked about the differences between Oracle iAS and WebLogic, about licensing and their experience with migrating from Oracle iAS to WebLogic 12c in two projects. Very applicable to a lot of customers and a story well told. I had the honor to close the day with my session about deployment best practices. The second day on the boat I attended two sessions: A talk about JEE7 and a talk about B2B by Ronald. Arun Gupta talked about JEE7. It was a very interesting presentation. The scope of JEE7 has two focus points: higher productivity and HTML5 support. He showed code samples from NetBeans to illustrate the different aspects. The WebSocket, JAX_RS 2.0 and JSON support were particularly relevant. Last but not least he talked about support for batch in the specification (finally!) which is very similar to Spring batch. The last session of the conference was Ronald his story about using B2B for the Province of Overijssel, a very clear story about the ebMS specification, the use case and the solution. 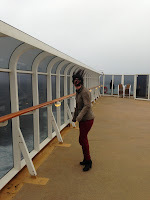 To summarize, there were not many presentations on Middleware but the ones that were there, were of very high quality and being on a boat surely spices up the whole experience!